It’s a shame, but Firestorm hasn’t rubbed elbows with the Legion of Super-Heroes very often. They bump into each other during crossovers (i.e. Legends, Crisis on Infinite Earths, and such), but not on a regular basis. Clever writers Dan Abnett & Andy Lanning figured a way for Firestorm to interact with the Legion! 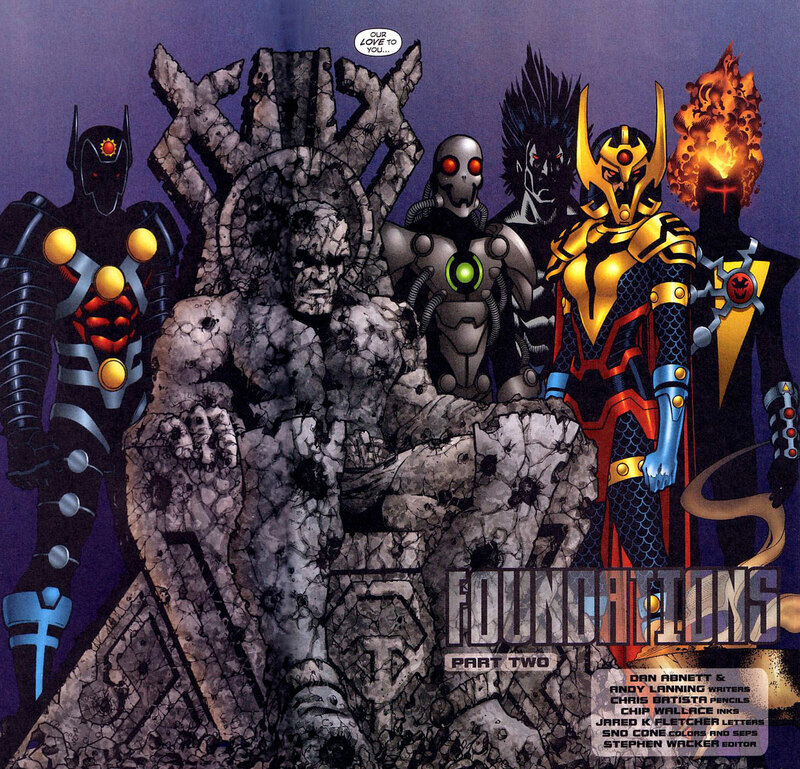 During the “Foundations” story line (The Legion #25-30, Dec 2003-Apr 2004), Darkseid creates dark mirror versions of 20th century heroes, including Firestorm! Click the image below from The Legion #26 to enlarge. 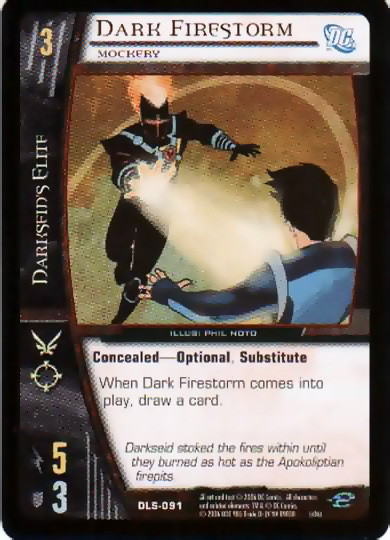 This “Dark” Firestorm even merited a “VS System” collectible trading card from Upper Deck featuring art by Phil Noto! If you dig the Legion, Darkseid, or the Conner Kent version of Superboy, you should definitely check out the “Foundations” story line! Since we’re on the subject of the Legion, I recently sat down with Michael Bailey to chat about the Legion of Super-Heroes on VIEWS FROM THE LONGBOX! We spent about two hours going over our respective histories with the Legion, a basic history of the property itself, our favorite runs, some of the sillier aspects of the team’s history, and generally celebrated our love for this team. Please head over to VIEWS FROM THE LONGBOX and check out this episode! My thanks to Mike for having me on the show! Support Firestorm (and the Legion of Super-Heroes)! Fan the flame! Posted in: Comic books, Trading Cards. ← Power Records Podcast #05: Planet of the Apes! This is great. You know, in a vague sort of way, Captain Atom has hung out with the Legion. But yours is better.